of the movie in Oct 2001. The DVD became available in July 2003.
written and played by Steve Free and can be found on his newest CD release called ALL POINTS BETWEEN. The Steve Free website can be found by clicking here. 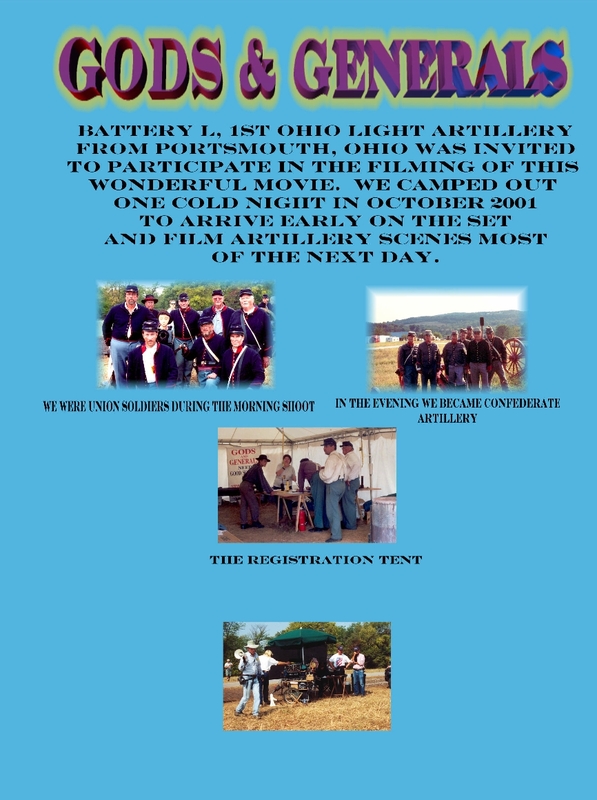 Battery L, 1st OHIO LIGHT ARTILLERY is comprised of a group of members from Portsmouth, Ohio and surrounding areas that have a genuine interest in all aspects of the Civil War. We belong to the Sons of Union Veterans of the Civil War - SUV and a reenacting unit called the Sons of Veterans Reserve - SVR. 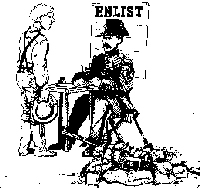 Members show a blood link (geneealogical descendancy) to a Union Veteran. Associate membership is also welcome for those who cannot show a relationship, and enjoy the same benefits of membership. The recruiting poster gives a basic overview of our goals and endeavors. The actual historic poster just recently discovered can be found here. The&amp;nbsp;mustering out orders at the end of the war is also available for viewing.&amp;nbsp; Our unit is especially lucky for having found these historical treasures. &amp;nbsp; In Sept 97, 5 members of our group went to the 135th Anniversary Reenactment of the Battle of Antietam. Click hereto see the photo gallery of our Antietam trip.